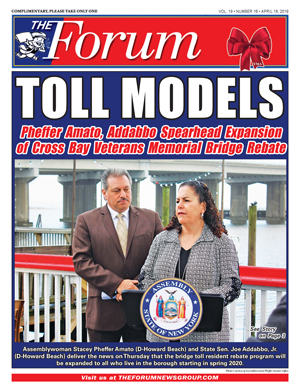 Councilman Daniel Dromm was one of several local politicians to raised questions at a meeting held last week to examine the proposal of the USTA. Photo Courtesy of Will Sweeney from Make the Road NY. A new report released by the Fairness Coalition of Queens raises the volume on the group’s opposition to United States Tennis Association (USTA) plans to expand in Flushing Meadows-Corona Park by spotlighting a host of negative impacts on the park as well as the surrounding communities. Key findings of thte report, “Double Fault,” include that while city taxpayers provided more than $322 million in city bonds for USTA construction, the majority of the organization’s full-time and high-salary jobs are located in White Plains and not Queens. 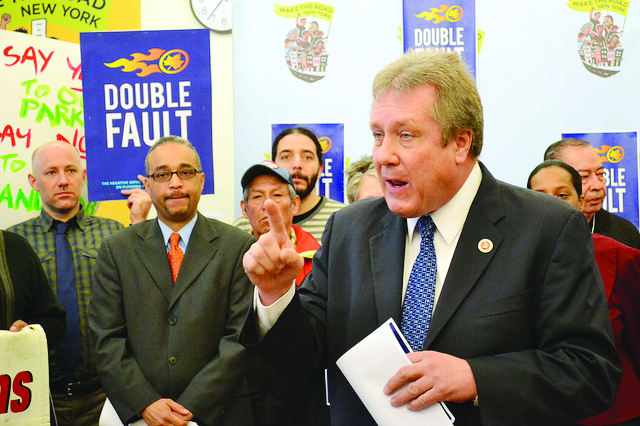 City Council Member Daniel Dromm, a member of the City Council Parks Committee, called the USTA “outrageous” for taking city parkland and tax breaks while moving top jobs to Westchester County. “Why doesn’t the Bloomberg Administration guarantee that the jobs our tax dollars are subsidizing are based in NYC? 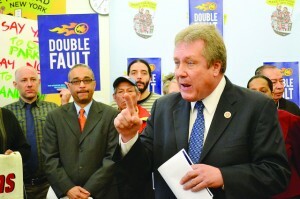 I see no reason for us to be investing city tax dollars for jobs in Westchester County,” Dromm said. In addition, the report also found that in 2008, then-USTA CEO Arlen Kantarian received $9 million in compensation, while 8 other executives made between $700,000 and $1 million. The report added that the average pay for Olympic national governing body executives is $228,456 while the median income for tennis fans is $150,000 and Queens’ residents’ median income is $56,406. A staunch opponent of the tennis association’s expansion plans to build new stadiums and new parking facilities at the park, the Fairness coalition, a group of Queens-based organizations dedicated to protecting and preserving Flushing Meadows Park, released the report on Friday at a press conference in Jackson Heights which drew more than 80 local residents and numerous politicians. Further, the report also touched upon numerous environmental impacts such as increased traffic congestion and accompanying pollution, which includes the building of a diesel-powered fuel plant. Other impacts include the loss of nearly 400 trees and valuable green space. Local politicians have said the loss of green space in the park is especially crucial since Corona has one of the highest rates of child obesity in the city and the space is needed to provide kids with space to recreate and exercise. Community boards in Queens have been debating the environmental impacts of the USTA’s expansion for months and overall, residents have had mixed reactions. Community Board 9 member Alex Blenkinsopp has expressed past concerns about the USTA plan and the organization’s “inability to answer some important questions” posed by the community. Blenkinsopp said he was particularly concerned that the USTA has yet to answer questions on where the organization plans to replace the .68 acres required for expansion. Javier Valdes, co-executive director of Make the Road NY, said the USTA has “not been a good neighbor,” and that their events, in particular the U.S. Open, have put a heavy strain on the park and the community. “For our community in Queens, the USTA is nothing more than a gated community walled off from the local residents. Our families need parkland. We are deeply concerned that an expansion of the USTA will just lead to even more problems for the community,” he said. 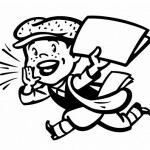 Chris Widmaier, the association’s highly-paid head of communications, did not respond to calls and emails from the Forum seeking comment on the coalition’s latest report. According to 2010 tax documents, Widmaier was paid more than $400,000 per year in total compensation, more than twice the salary of other communications directors in professional sports. Other supporters of the USTA and its expansion include Mayor Bloomberg, Borough President Helen Marshall and Councilwoman Karen Koslowitz.